As November’s 2018 midterm elections near, the University of Virginia’s Center for Politics has rolled out a new forecasting tool to help Americans track and predict congressional and gubernatorial races in all 50 states and address polling concerns raised by the 2016 presidential election. The center, founded and directed by University Professor of Politics Larry J. Sabato, partnered with the nonpartisan public opinion research firm Ipsos to launch the 2018 Political Atlas on Tuesday. 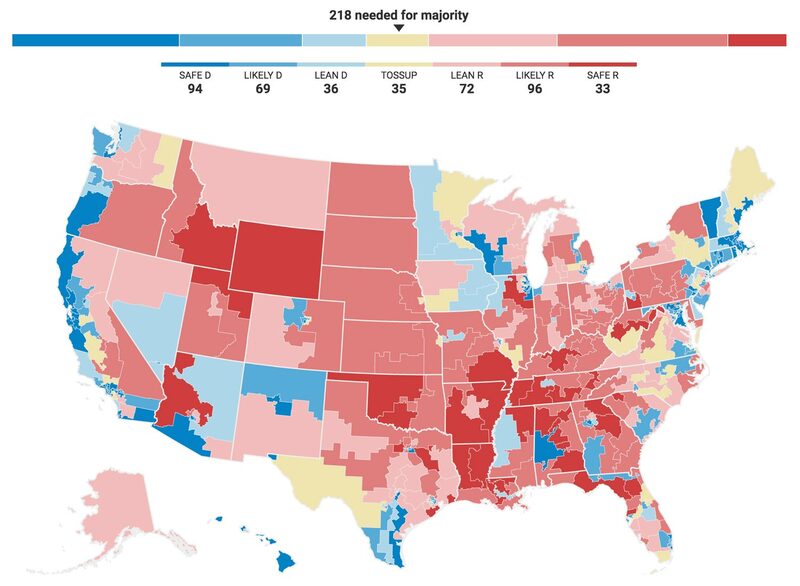 The atlas is an interactive map tracking every House, Senate and gubernatorial race in contention this year. It will be updated continually with data reflecting both qualitative analysis from the Center for Politics’ publication, Sabato’s Crystal Ball, and quantitative analysis from Ipsos’ poll-based modeling and tracking of social media trends. Users can view the national map or narrow the map to specific races by selecting different states and districts to learn more about each candidate, view that district’s electoral history and see predictions and social media trends specific to that location. Sabato and his team hope that the tool will provide a user-friendly, accurate way for Americans to track election predictions during a year with particularly high stakes, as Democrats are looking to gain the majority in both the House and the Senate, while Republicans are determined to defend their current position. “At this point, it appears that the Democrats are at least small favorites to take the House of Representatives from the Republicans, but the GOP remains favored to hold the Senate,” Sabato said. “This is the conclusion from both the most current Crystal Ball ratings and the Ipsos-based polling model. Sabato and his team also hope the abundance of data showcased in the atlas will help address polling concerns raised during the 2016 presidential election, when the center’s Crystal Ball, along with most national polls and news organizations, projected Hillary Clinton over Donald Trump. In the end, Clinton won the popular vote while Trump won the Electoral College and the presidency. Following the election, Sabato urged polling companies across the country to reexamine their methods and develop more accurate models for this year’s midterm elections. In addition to Center for Politics predictions and the latest polls at the state and congressional district levels, atlas users can access Ipsos’ social media analysis, which tracks social media mentions of all major candidates for Congress, Senate and governor in the U.S. across Twitter, Facebook, Instagram, YouTube, local news websites and other sites. “This analyzes ongoing conversations on social media to identify which candidates are receiving more positive comments,” Young said. For example, in the race for a Texas Senate seat, Republican incumbent Ted Cruz has a slight edge over his opponent, Democrat Beto O’Rourke, in Ipsos polling. However, the social media metric shows more positive sentiment around O’Rourke, indicating the race could get closer. The atlas also highlights the top issues Texans are associating with the race on social media, which right now include the candidates’ opinions on President Trump, health care and immigration.